Tustin Carpet Cleaning is a full service carpet cleaning company offering a multitude of related cleaning and restoration services that we extend to commercial businesses and residential homes throughout Tustin, California and surrounding areas. We are fully licensed and insured to provide our area of expertise at affordable prices. 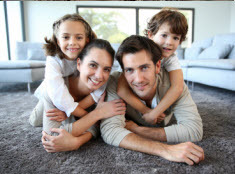 With Tustin Carpet Cleaning you will not only get superior quality cleaning, but high moral standards and work ethics, as well as friendly customer service. Our technicians have advanced training, years of experience, and remarkable skills that are enhanced with the use of high-end quality products and equipment exclusive to licensed professionals. Tustin Carpet Cleaning offers our carpet cleaning services for commercial and residential properties across the Greater Tustin, California area. Getting your carpets professionally cleaned once a year and more so if needed, is necessary maintenance in conjunction with the care you provide to keep it in prime condition and potentially extend the life expectancy. 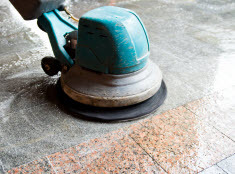 Periodically removing the grit and debris from underneath the carpet fibers delays the deterioration that occurs simply when walking on the carpet. It acts as a sandpaper-like affect which destroys your carpet from the backside up. Our methods and techniques also remove any existing stains and odors that will leave your carpets clean, vibrant, and fresh. 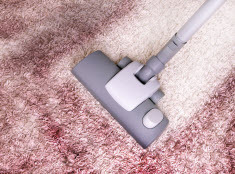 While vacuuming is great for removing surface layer dust and dirt, most contaminants and pollutants get imbedded deep down in the carpet fibers. If you don’t hire professional carpet cleaners from time to time, these impurities build up causing your carpet to dull and fade. 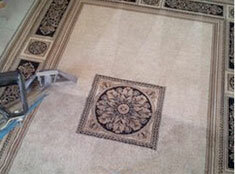 Tustin Carpet Cleaning can reverse this premature again and improve the look, function and health of your carpets! If the carpets in your home or business in Tustin, California and surrounding areas are in need of a professional carpet cleaning service, contact Tustin Carpet Cleaning. Our experts can get most stubborn stains and odors removed and can make the proper adjustments for the various types of carpet fibers to ensure an effective and safe cleaning. I called Tustin Carpet Cleaning after I saw them at my neighbor’s house. I had seen the pet stains on the carpet before they had been but I could hardly believe my eyes after. Their carpet and sofa cleaning not only made the stains disappear but the smells too! They did just as good a job at my place. Thanks so much! Copyright © 2016 Tustin Carpet Cleaning. All rights reserved.